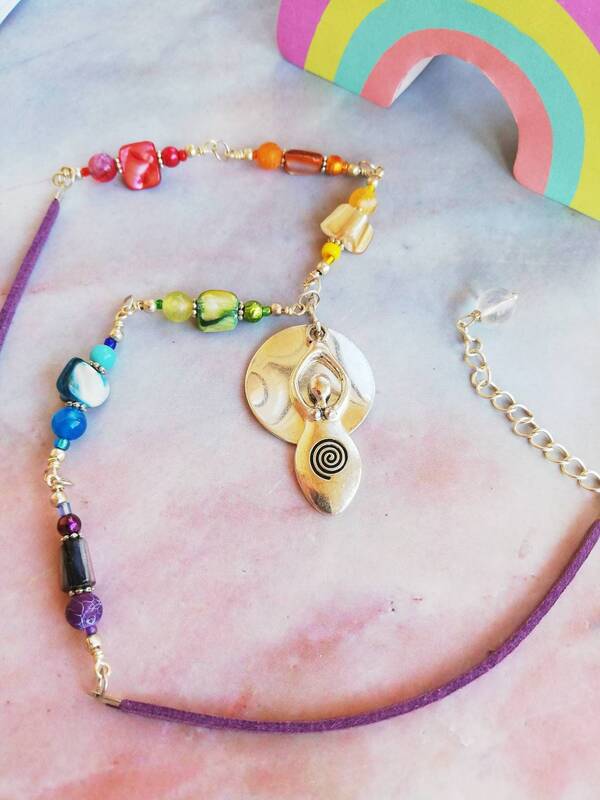 I made this totally unique necklace to represent the 7 chakras and to include a symbol representing a Earth Goddess. The figure, and particularly the spiral, also symbolises to me the process of meditation, aligned chakras and a spiritual higher connection. 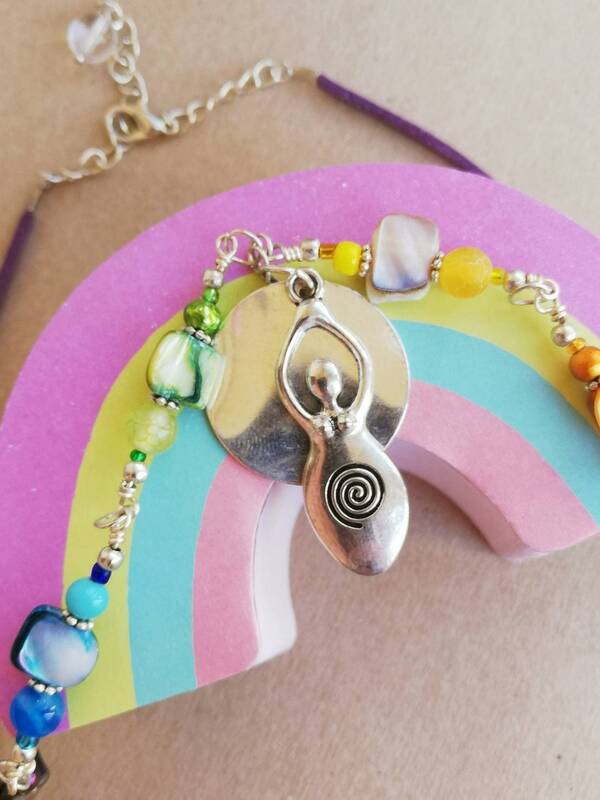 I realise (and hope) this will be unique to the wearer but it is important to me to explain what this necklace represents because it is meaningful to me. 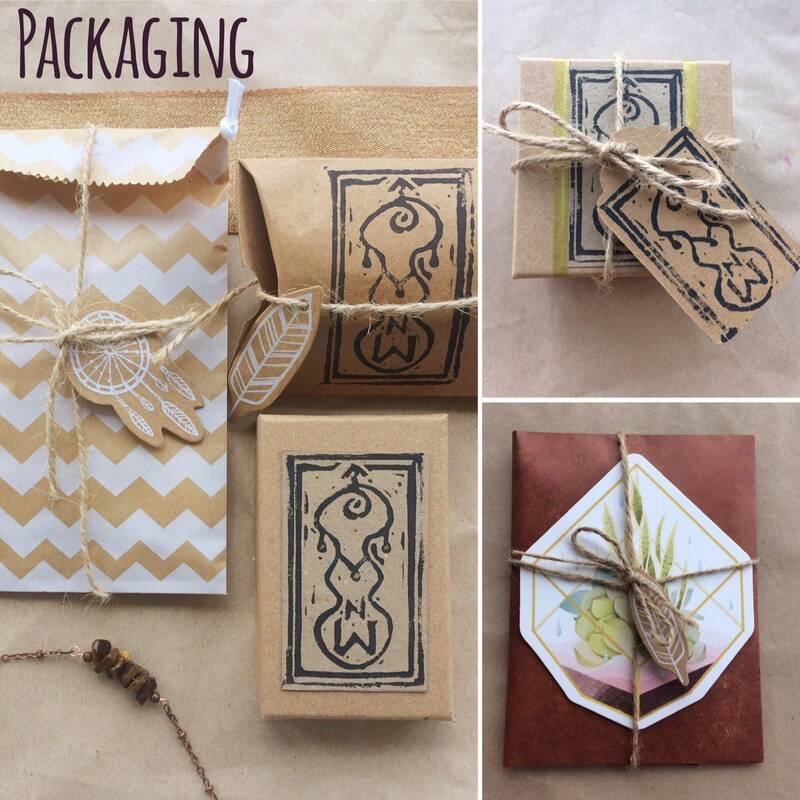 It is made with love and as a celebration and is a truly one-of-a-kind special piece. 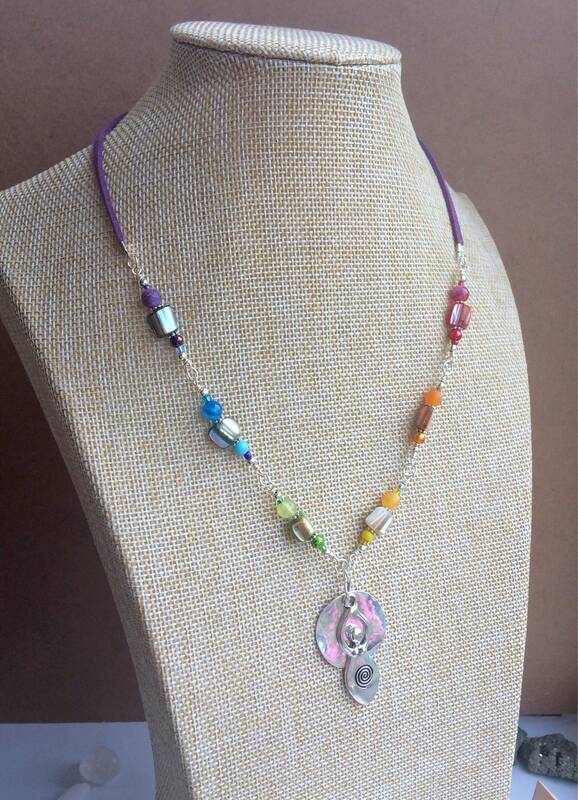 Each chakra and rainbow colour is represented with mother of pearl and gemstone beads. The gemstones are banded agate sized 6mm. 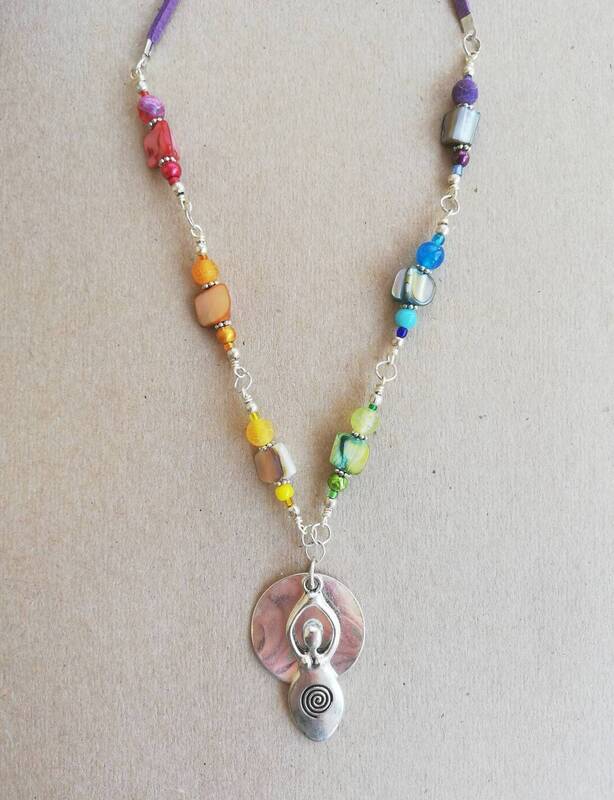 The pearl nuggets are approximately 8mmx10mm and have a wonderful rainbow lustre themselves, opalescent in the light. 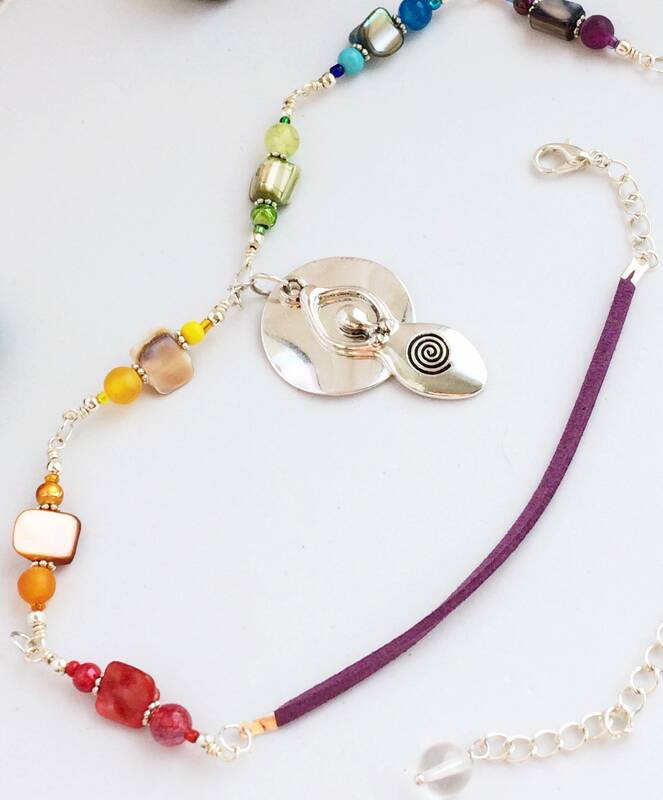 I also accompanied each colour section with a matching small bead making sure to include a range of finish, texture and sizes to compliment the eclectic style of the necklace. The Goddess pendant measures 3.9cm long and 1.2cm wide. 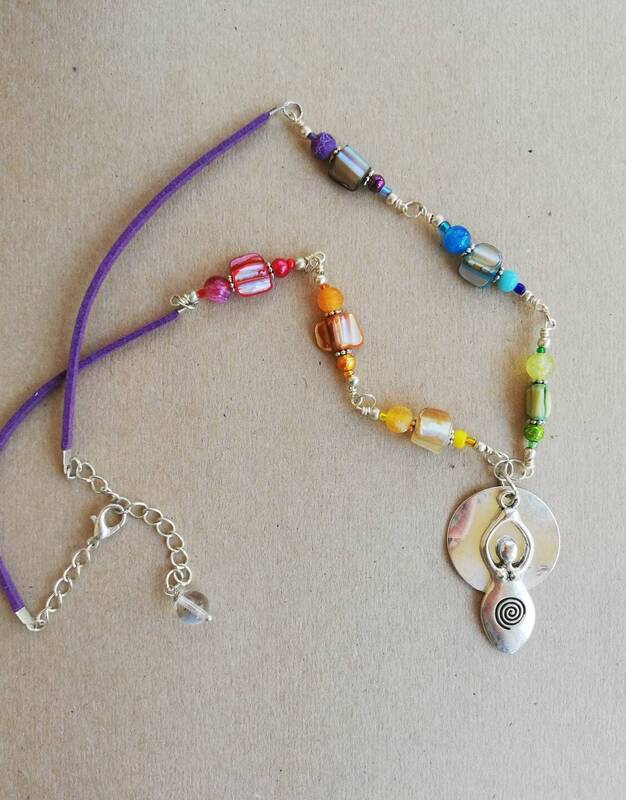 It is silver plated and accompanied by a wavy circular charm sized 2.5cm across. This adds a lovely refractory light and eye catching focal point. Purple faux suede material and a silver plated extender chain comprise the length of the necklace. 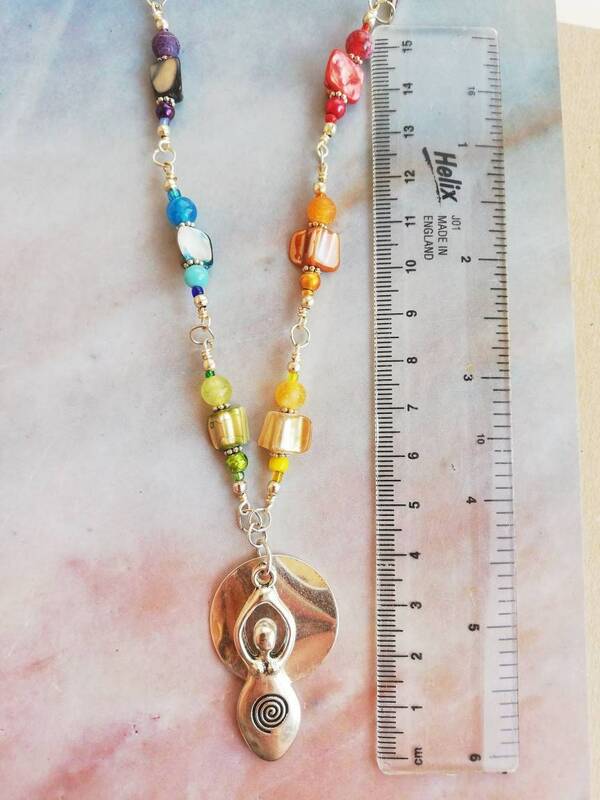 The chain means the fit of the necklace is adjustable from 23-28 cm. I made sure to include a clear quartz gemstone bead on this chain as a representation of the crown chakra and ultimate goal of meditation. Crystal quartz, also called rock or clear quartz, is known as the "master healer". It absorbs, stores, releases and regulates energy, and in particular clear quartz draws off negative energy of all kinds. It cleanses the mind, balancing and revitalising the physical, mental, emotional and spiritual planes. 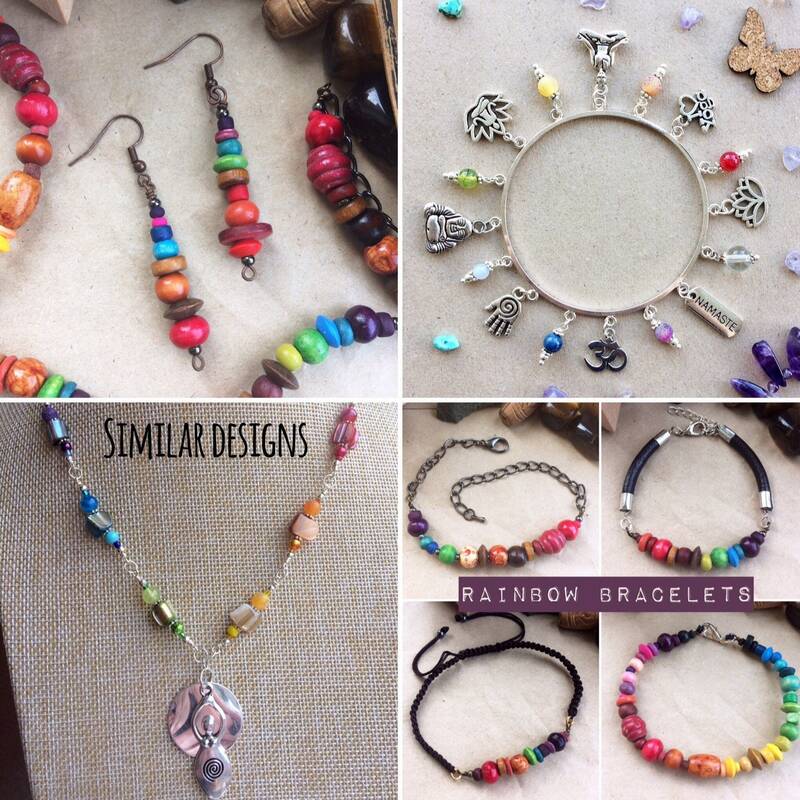 I was really excited to make this as the healing properties of gemstones really interests and attracts me. I love working with them and feel the benefit of having them around. 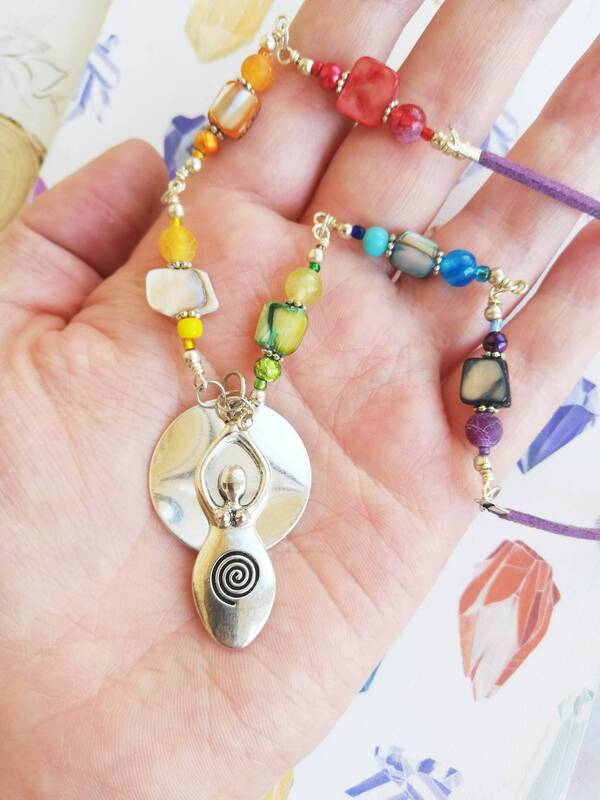 I have made a series of jewellery on the theme of yoga/meditation and then several bracelets with a variety of mood boosting/well-being gemstones, which is really exciting!